In my practice I continually see all kinds of horses hindered by problems in their ribcage so this month I’m talking about the importance of keeping a horse’s ribs moving freely. The horse’s ribcage is as important as any other part of the body. It protects the heart and lungs and supports the motion of respiration. The ribcage must be both structurally sound and mobile, which is a difficult task to accomplish. The structural part of the thorax contains 180 joints, which allows it to protect and maintain mobility, and each of these joints goes through 20,000 respirations every day. In addition to aiding respiration, the ribs also have muscles attached at the outer edges, which cause the ribcage to bend and move the body forward over the front legs during each stride. The diaphragm attaches to the inside of the ribcage. Unfortunately, once a rib or section of ribs is fixated the horse cannot correct the problem on his own. Fortunately horses can cope with ribcage pathology because they have a large number of joints, which allows for adaptation. However, osteopathic or chiropractic adjustment is needed to correct rib pathology for your horse to be able to perform at his best. Finally, when riding your horse it is important for you to sit to the outside during your turns. This allows the ribs on the inside of the turn to come up under your inside seat bone without restriction. This freedom of movement will allow your horse to perform more easily, plus he’ll really appreciate it! Madalyn Ward, DVM, owns Bear Creek Veterinary Clinic in Austin, Texas. 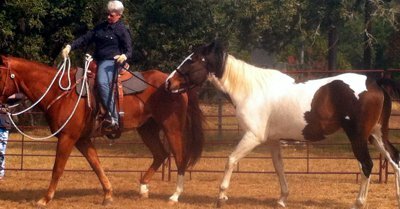 She is certified in Veterinary Homeopathy and Equine Osteopathy. Memberships include American Veterinary Medical Association, American Association of Equine Practitioners, American Holistic Veterinary Medical Association, Texas Veterinary Medical Association and the Academy of Veterinary Homeopathy. She has authored several books and publishes at her blog. Bear Creek Veterinary Clinic, Madalyn Ward, D.V.M.